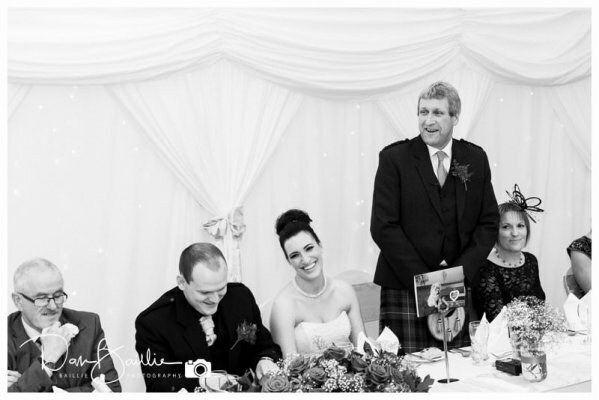 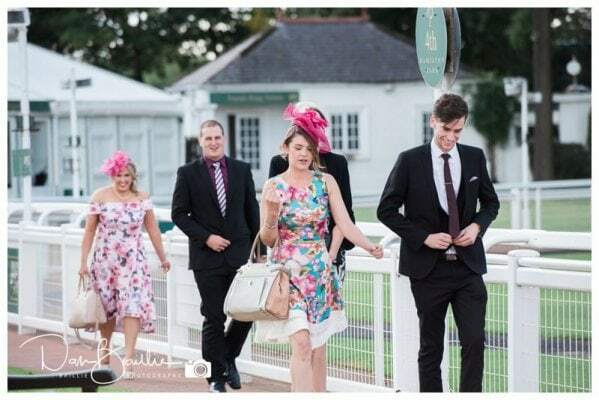 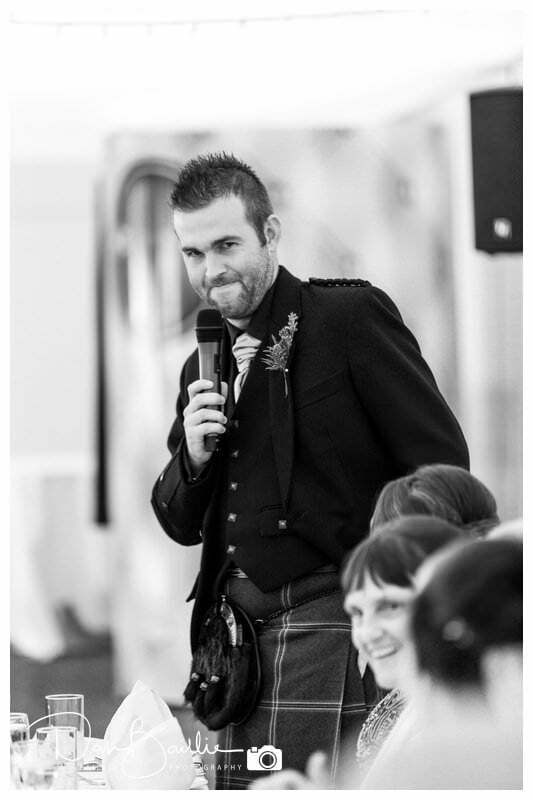 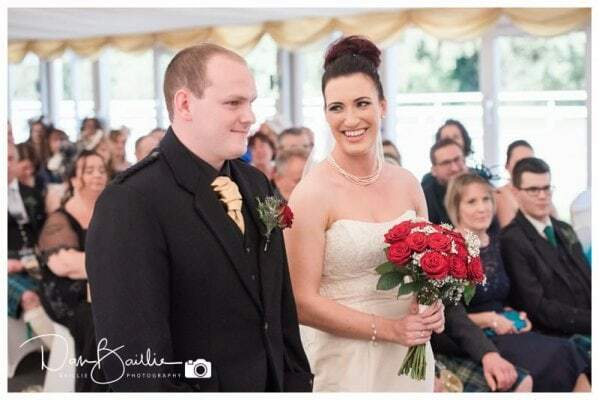 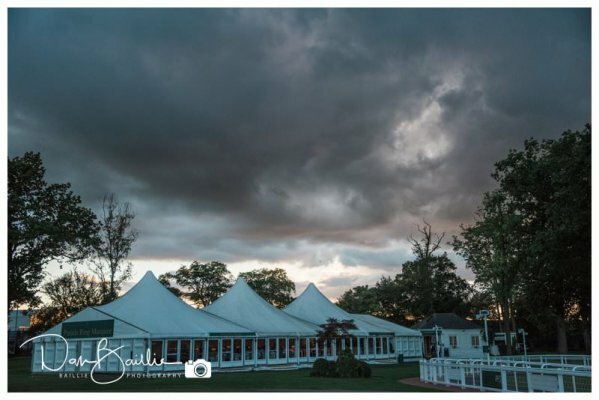 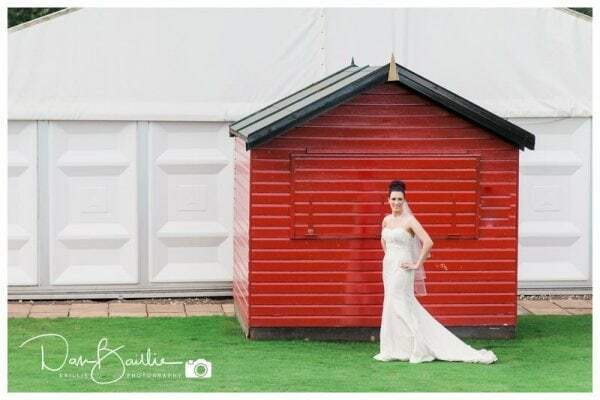 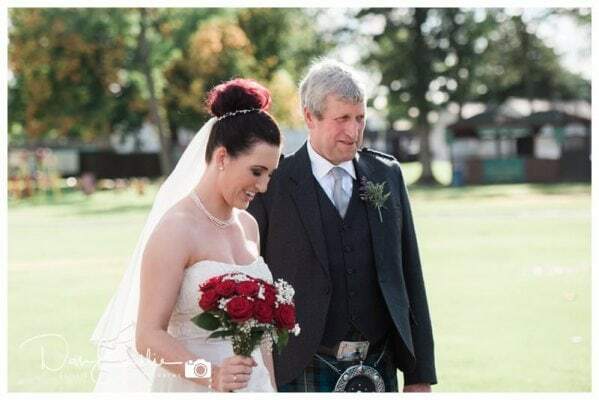 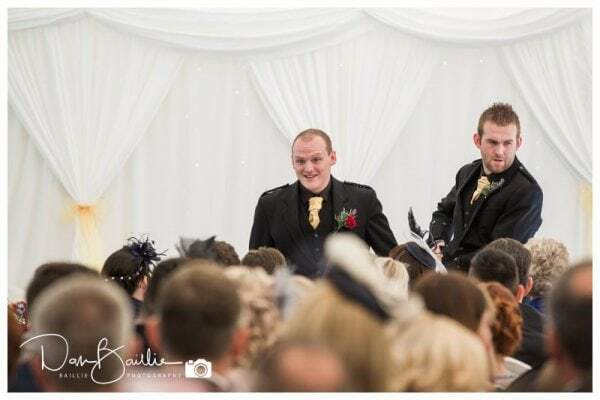 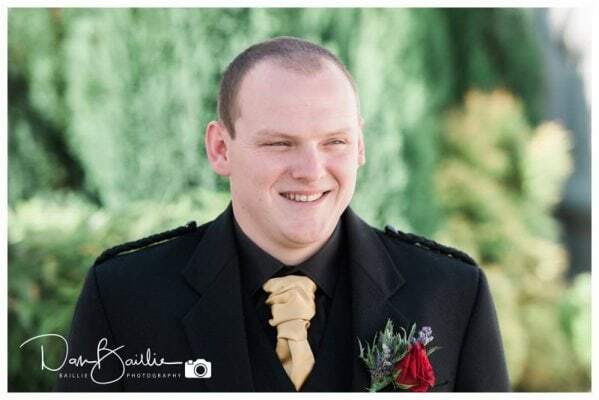 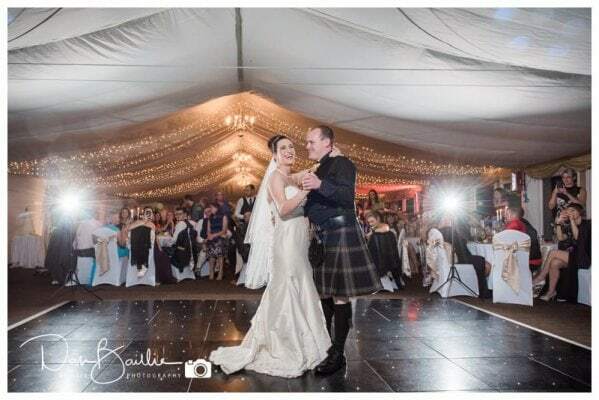 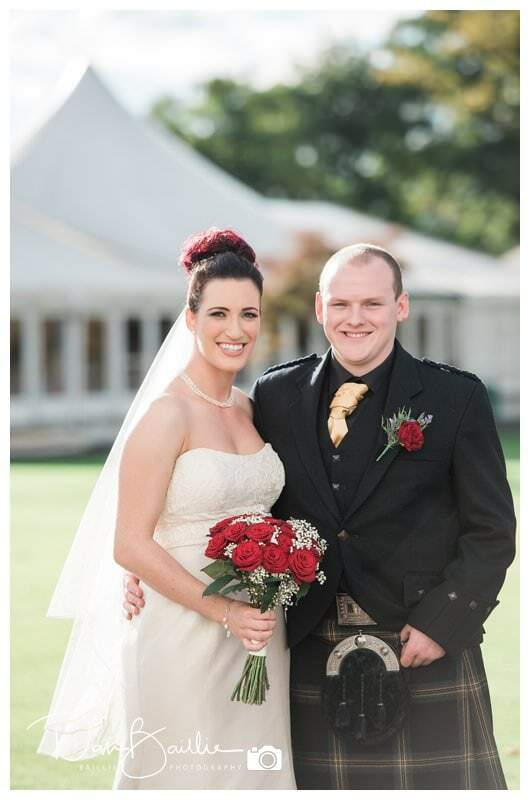 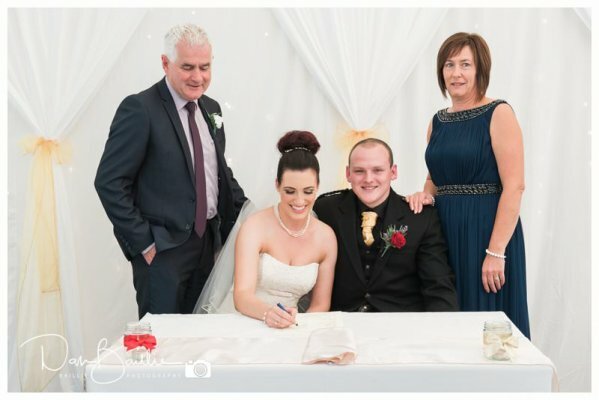 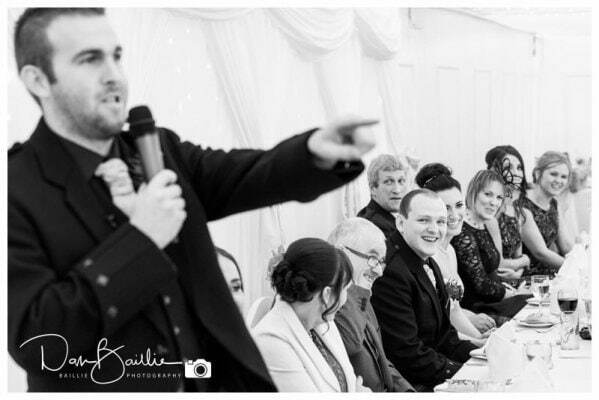 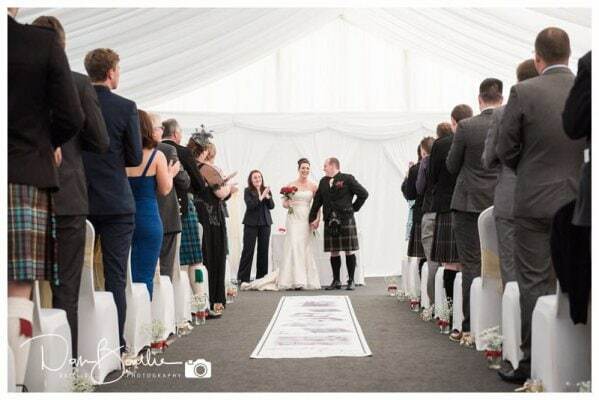 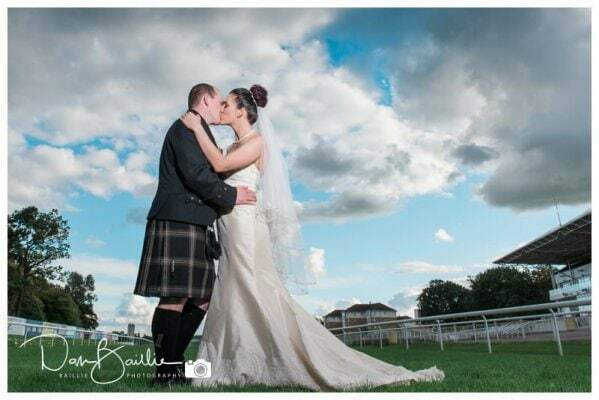 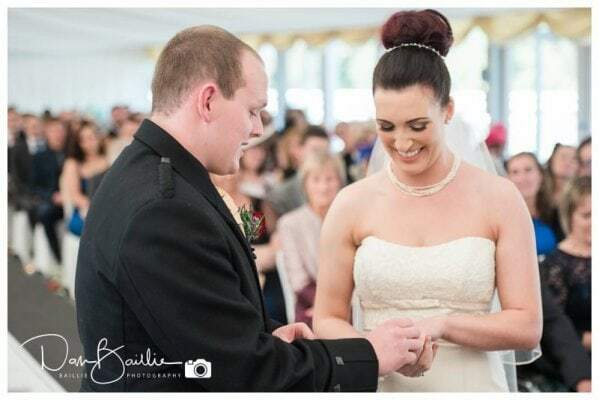 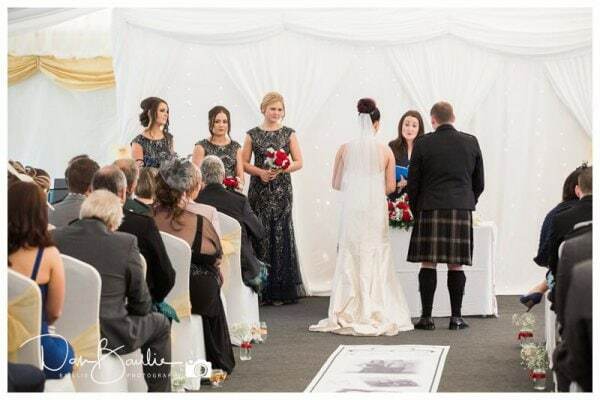 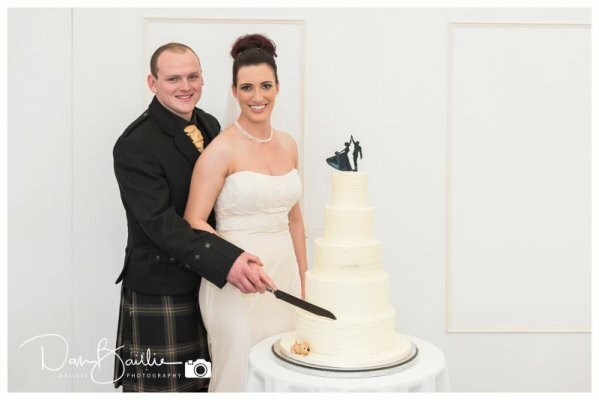 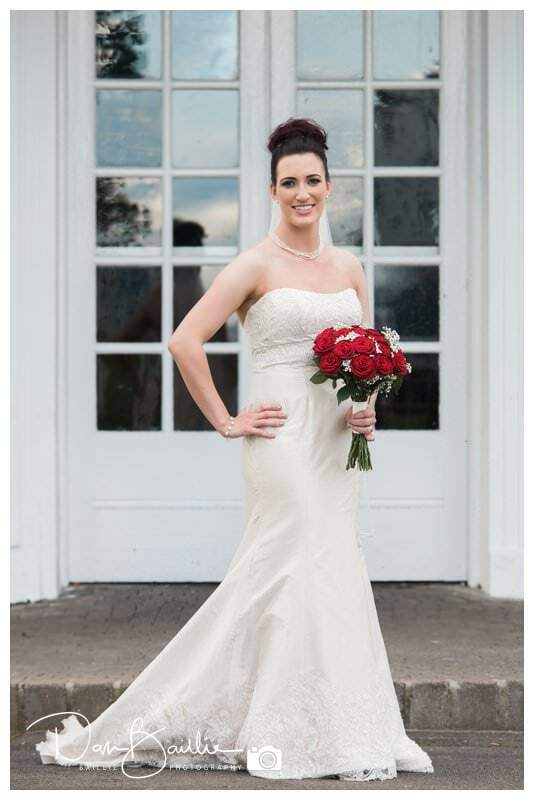 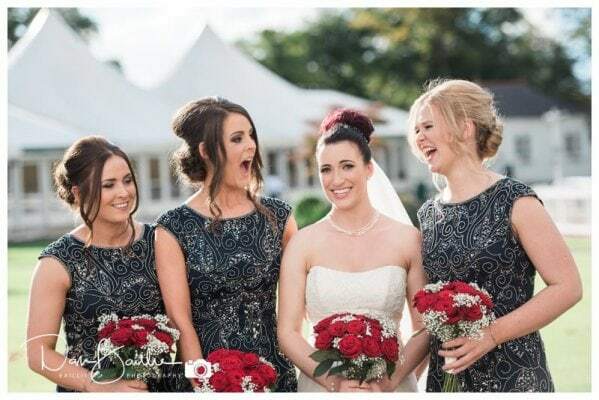 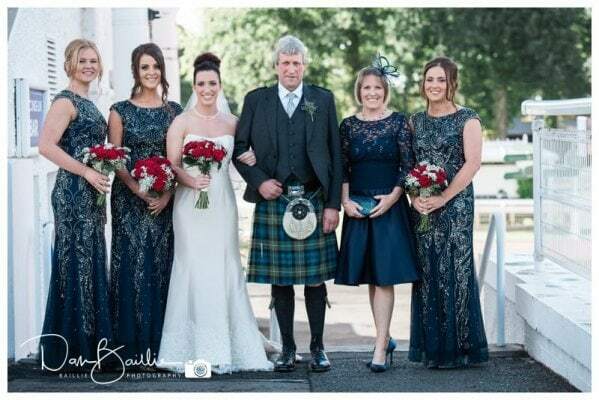 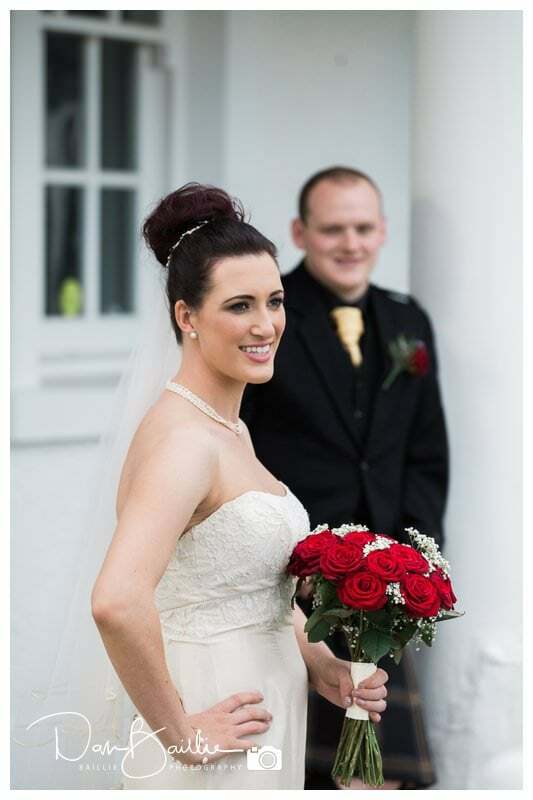 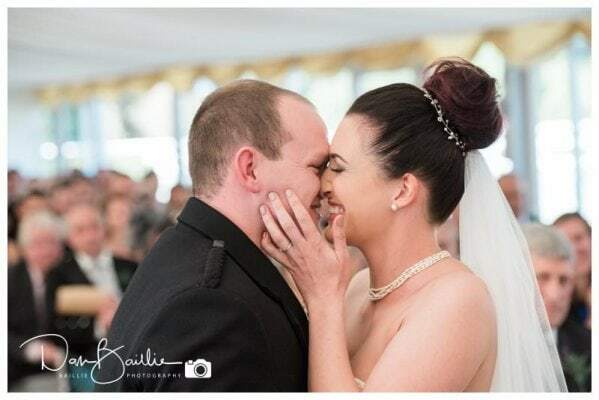 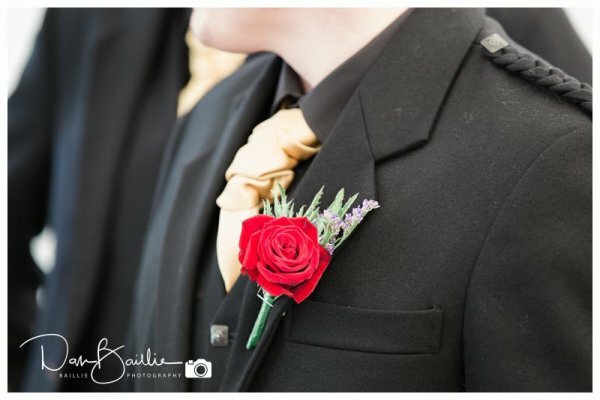 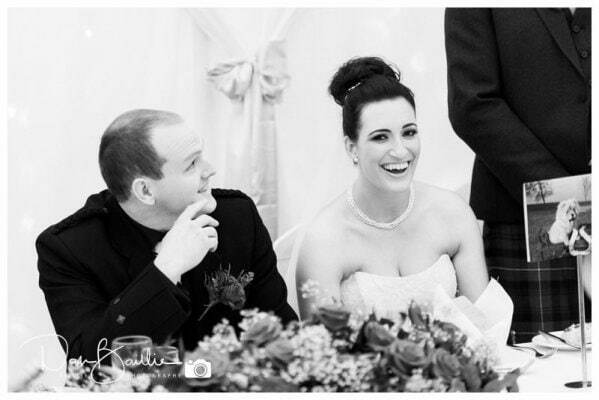 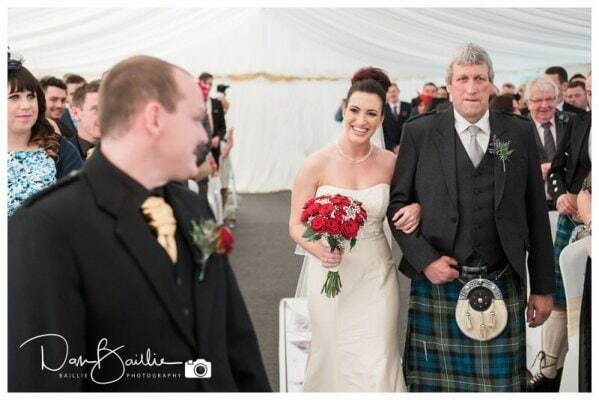 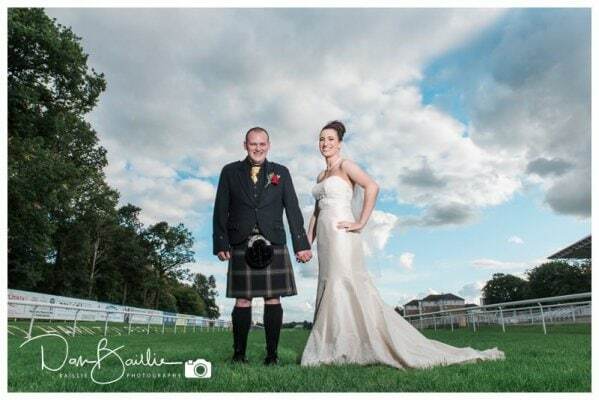 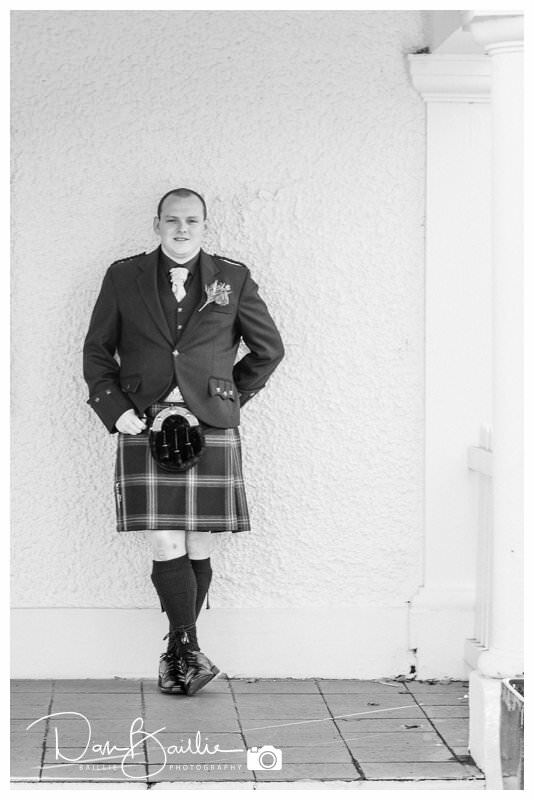 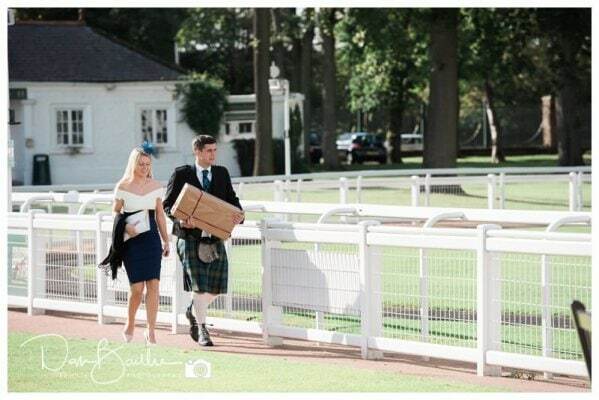 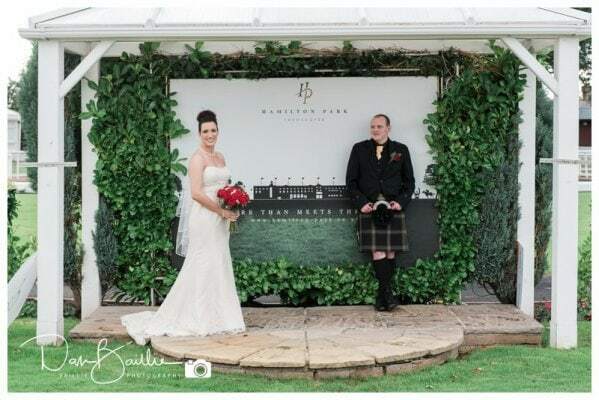 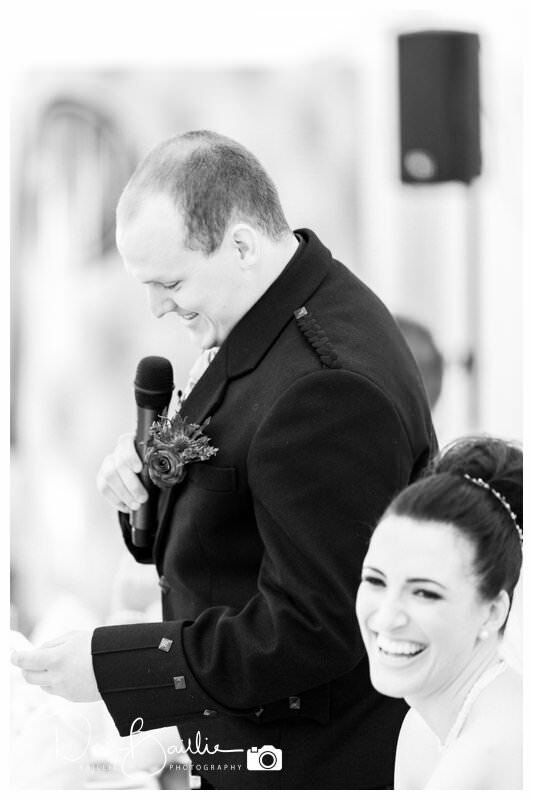 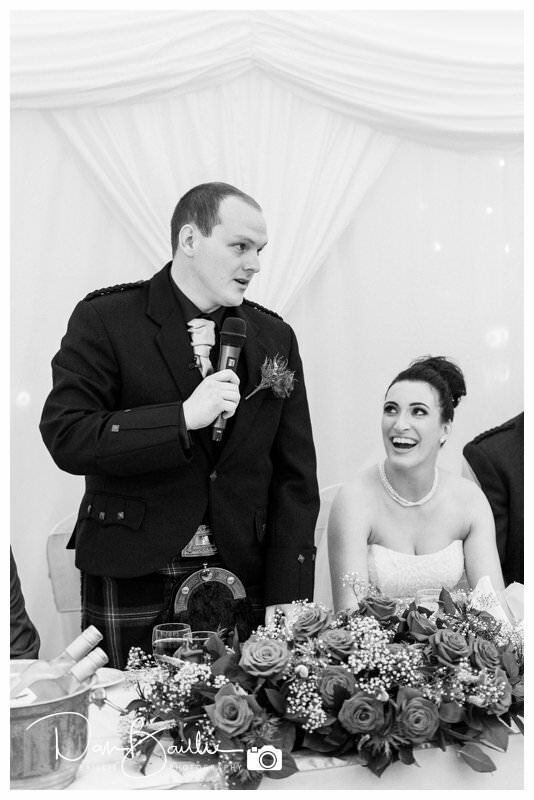 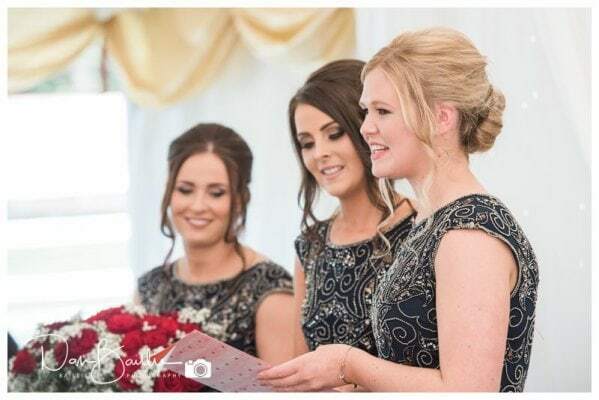 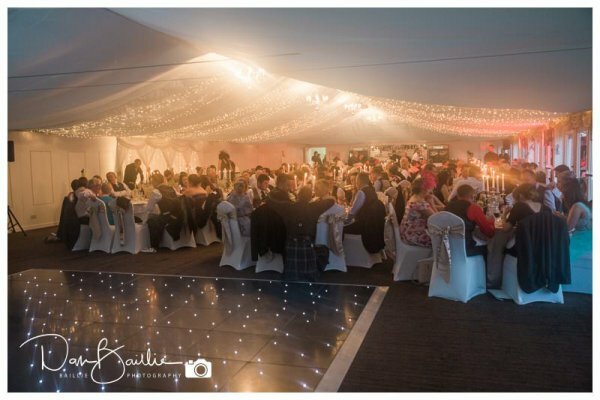 Laura and Dec had their fabulous wedding at Hamilton Park Racecourse. 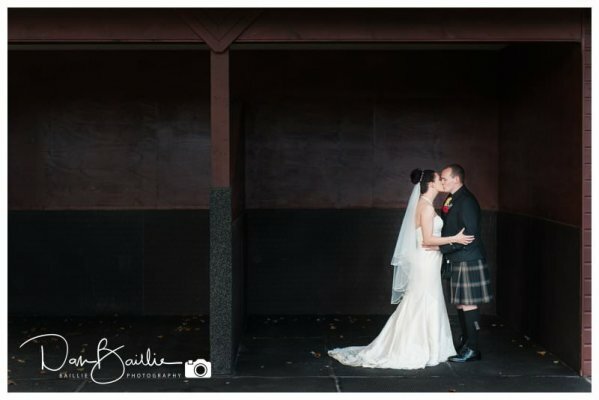 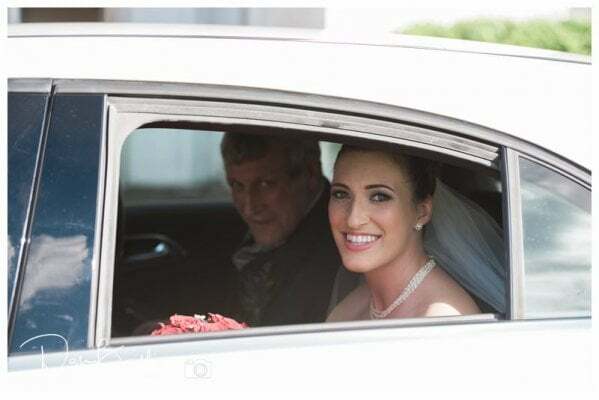 I took two photographers to cover their wedding along with my assistant Jamie. 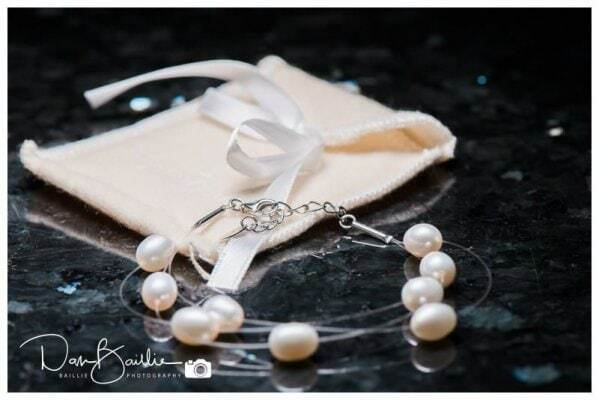 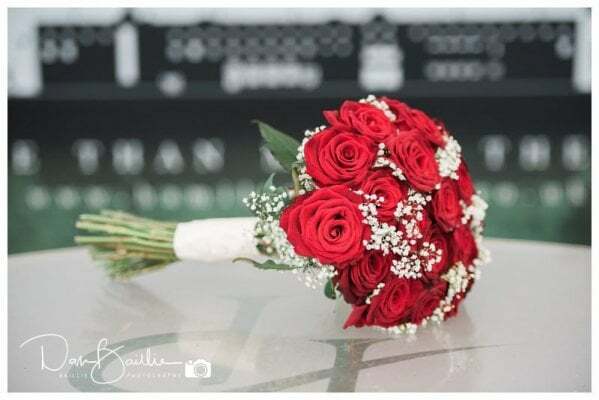 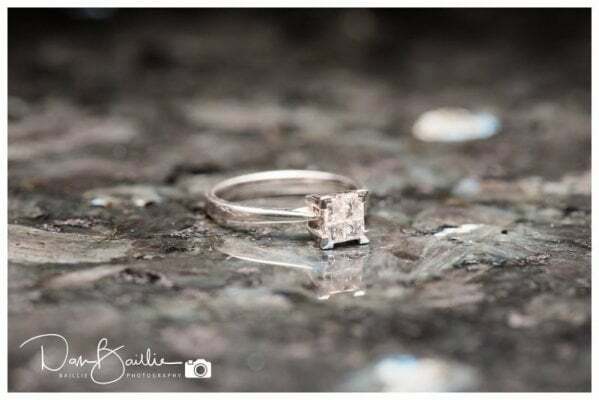 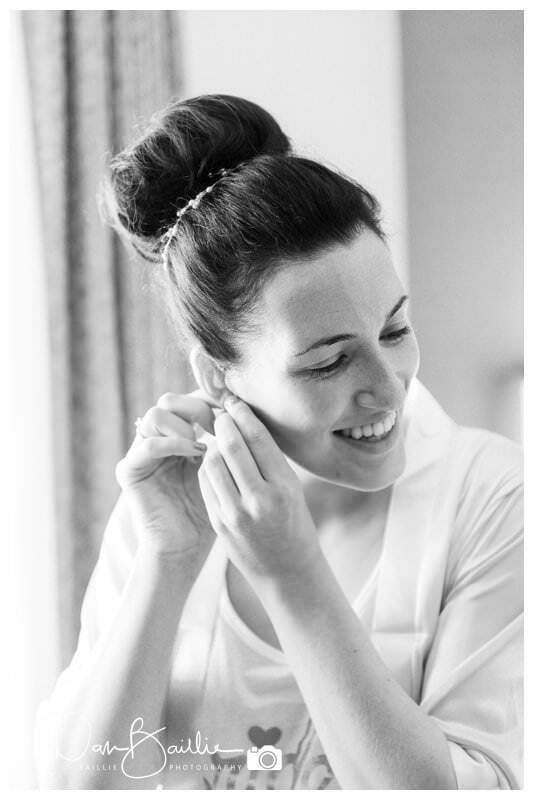 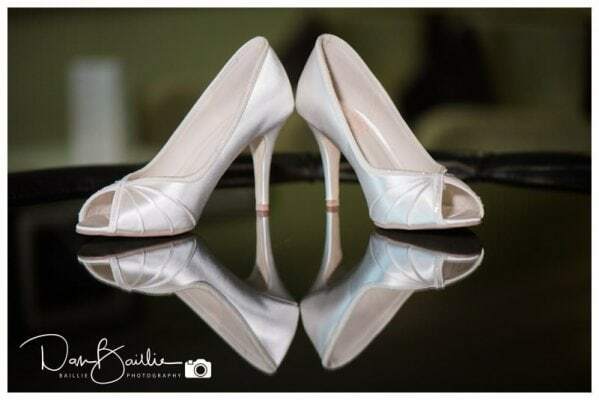 We traveled up the night before so that we had plenty of time in the morning to do our equipment checks and arrive at Laura’s hotel nice and early to cover the bridal preparations. 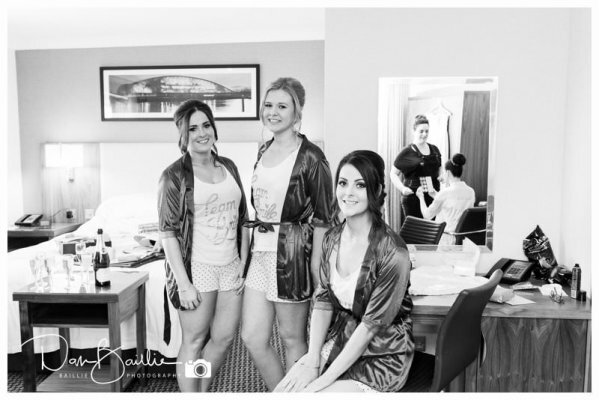 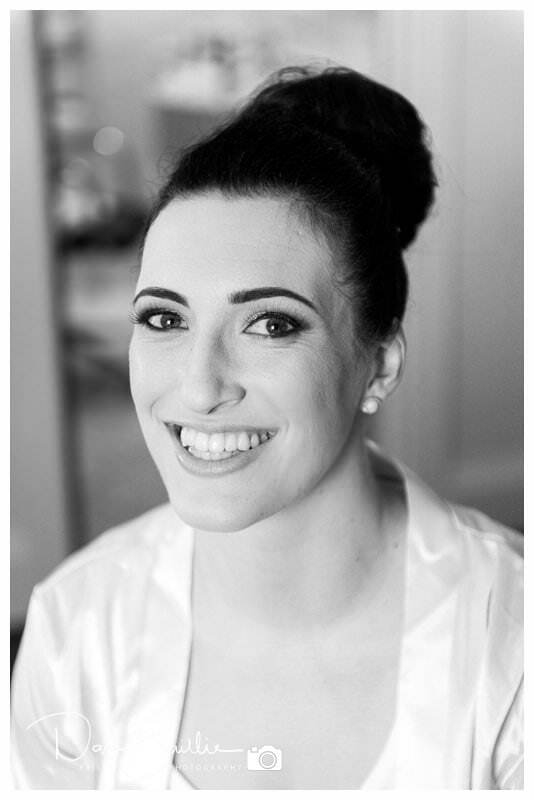 Laura and her bridesmaids were staying at the Hilton Hotel and it was here that the bridal preparations were to be undertaken. 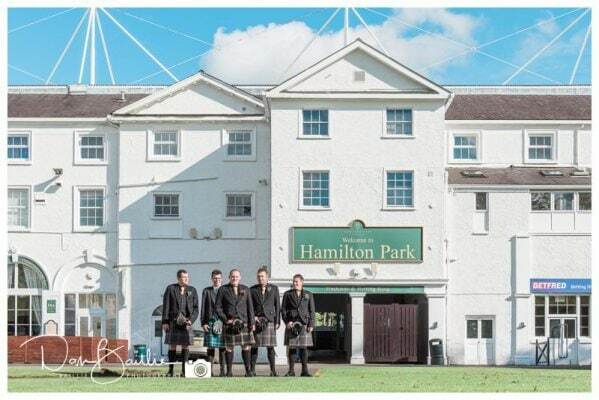 The hotel was only around 15 minutes from Hamilton Park Racecourse so it was a nice easy journey between the two. 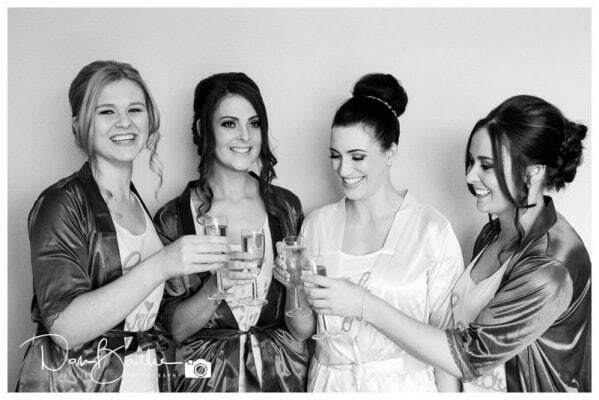 On arrival the girls were drinking champagne and Laura had just given the bridesmaids a bag of gifts each and they were busy unwrapping them and having a great time. 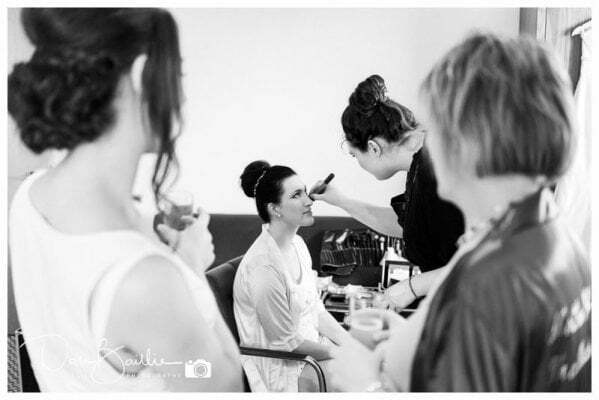 After this the bridal preparations began in earnest. 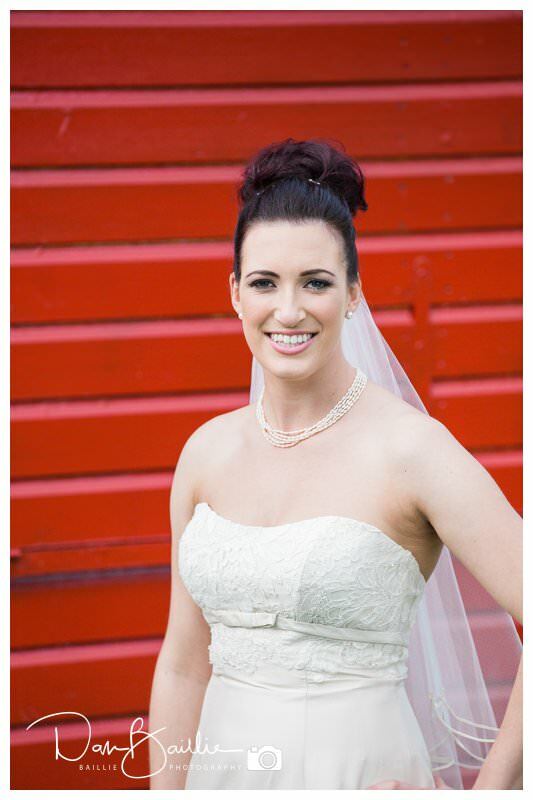 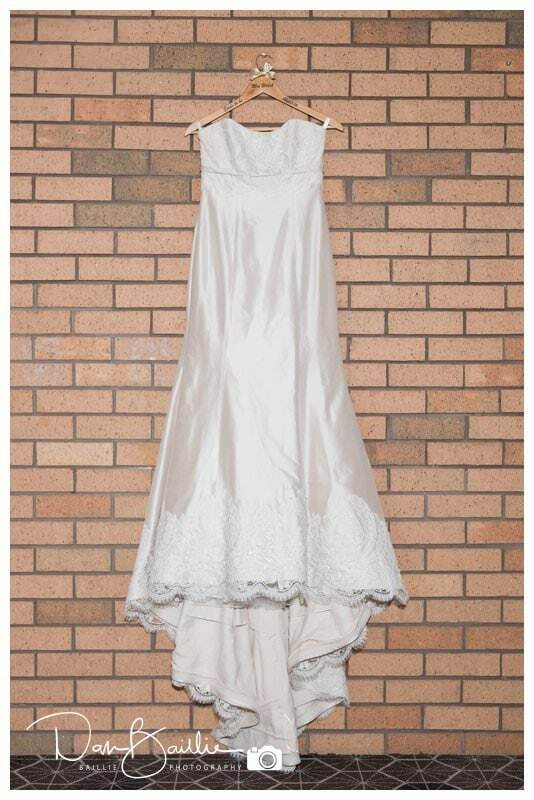 We took some time to get some of the detail shots like the dress, shoes and jewellery. 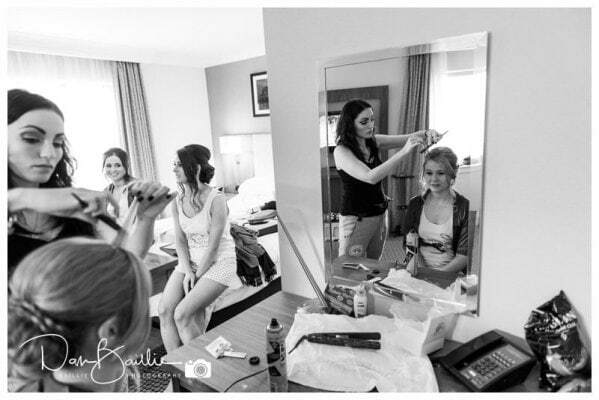 I always love this part of the wedding day preparations. 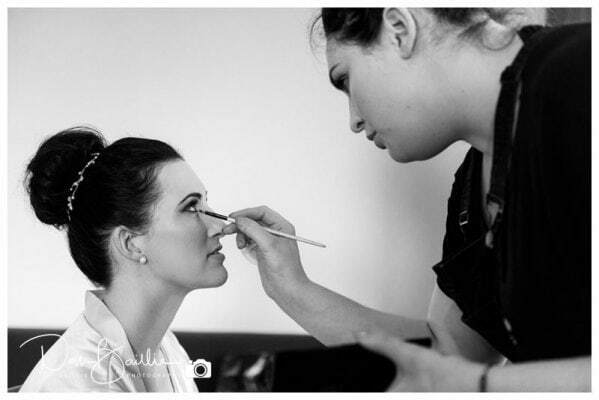 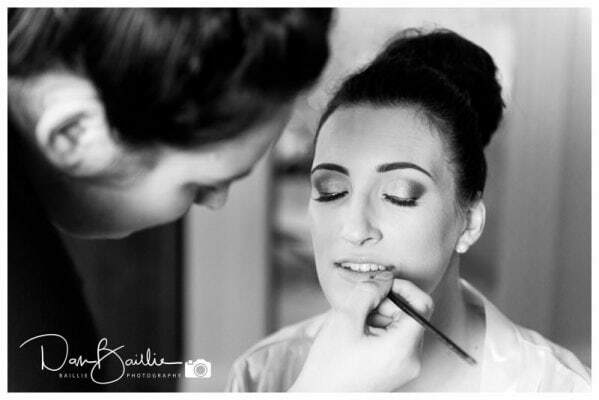 We then captured a series of photographs of the makeup and hair styling before heading off to meet the boys. 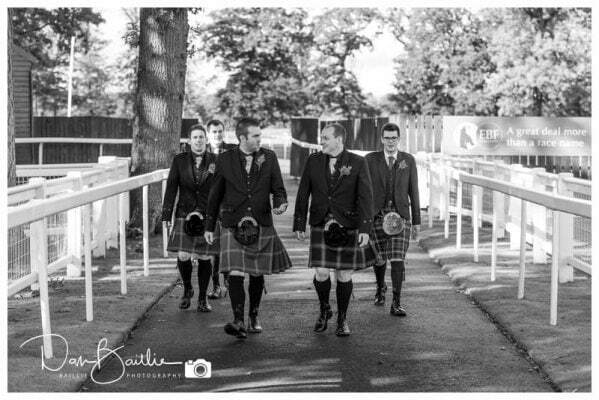 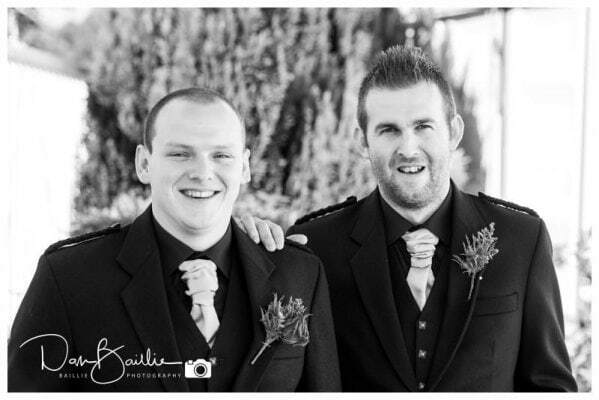 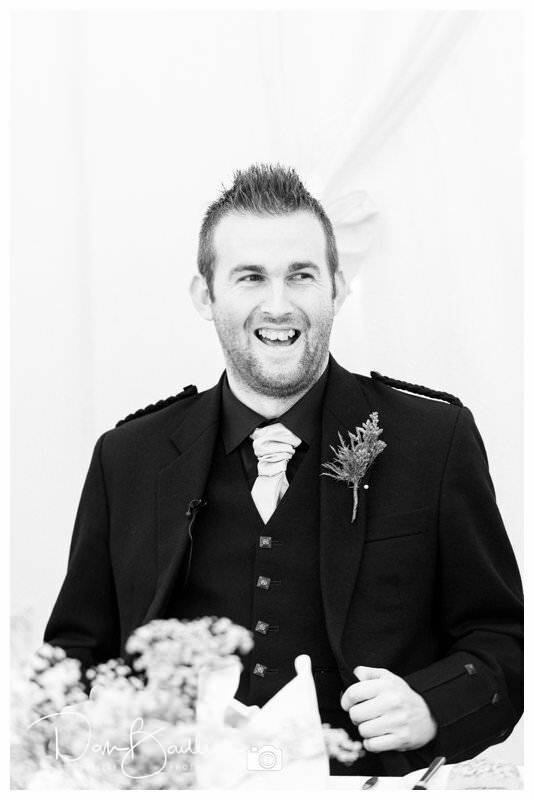 We had pre-arranged to meet Dec at the wedding venue with his groomsmen around 45 minutes before the ceremony. 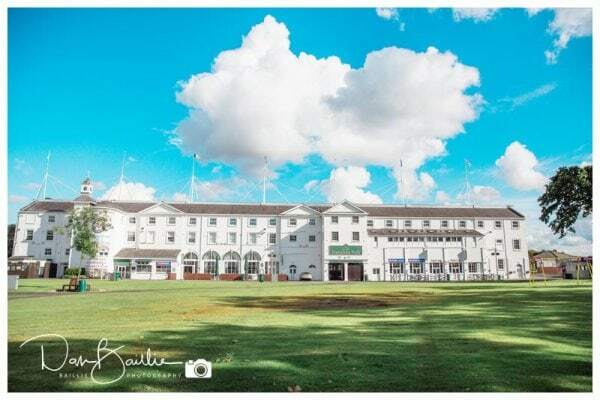 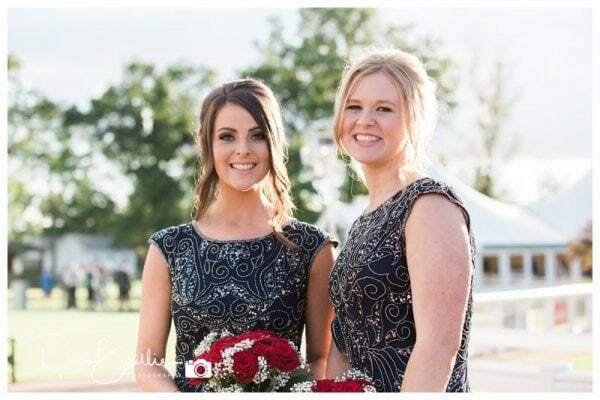 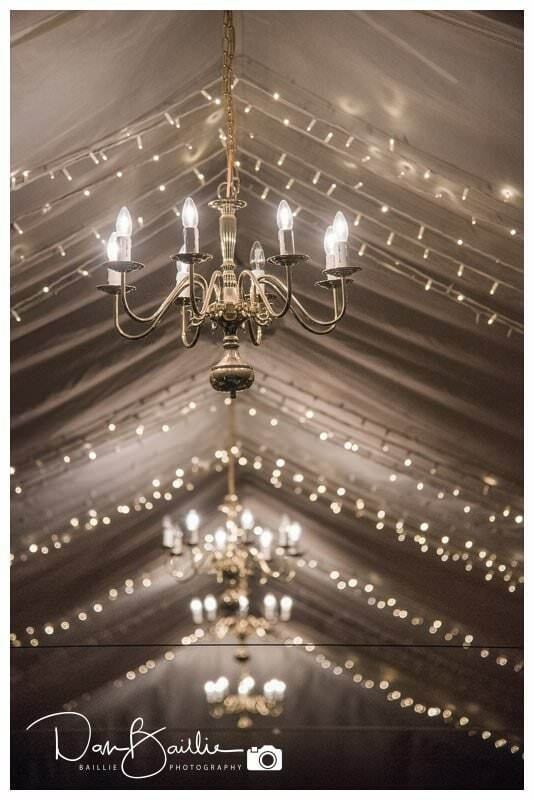 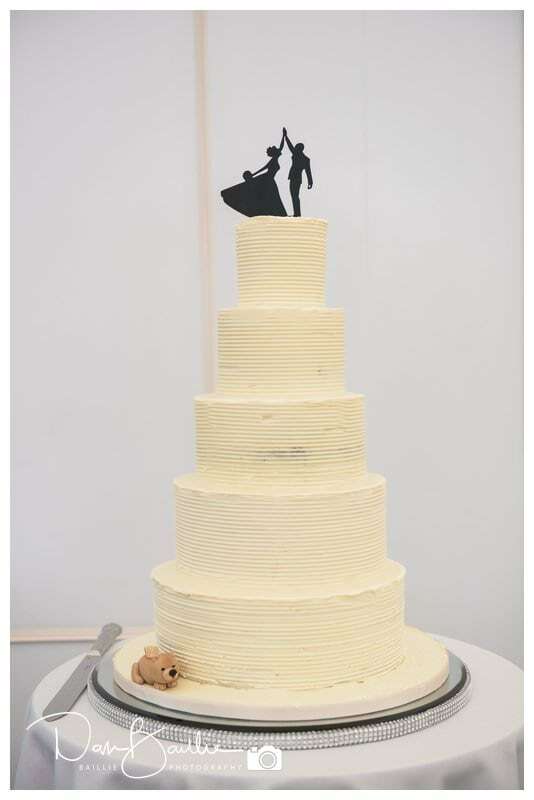 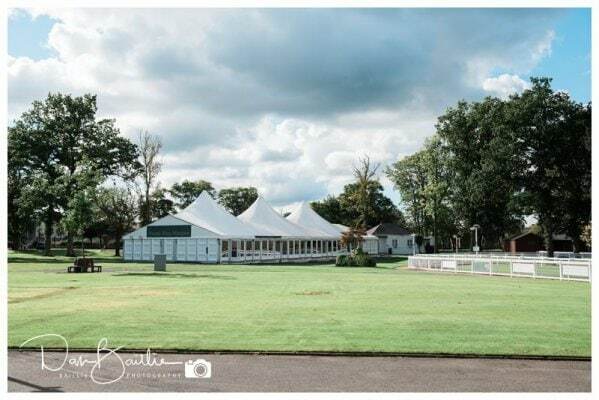 This would give us plenty of time to capture some photographs of them before the arrival of the bride and also to familiarise us with the layout of the marquees. 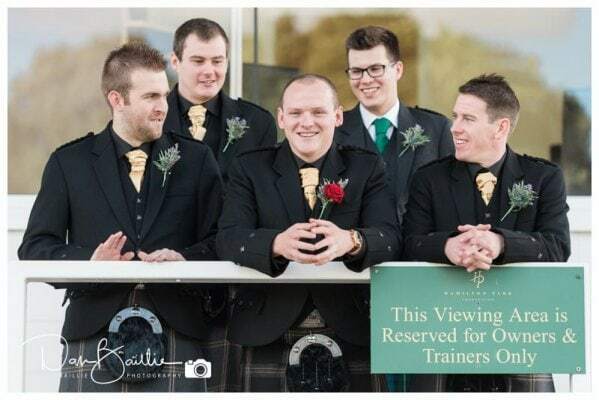 We had great fun with the lads and captured some great photographs of them all having a good time. 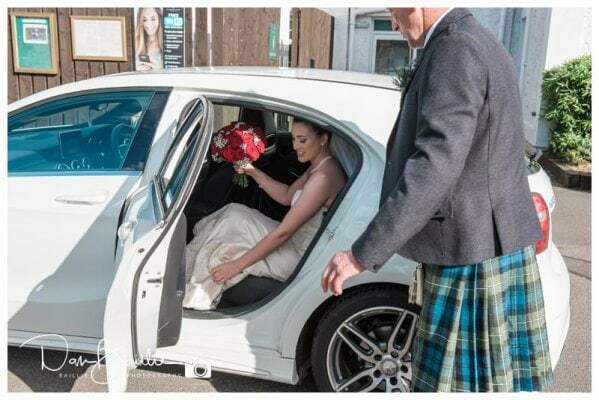 Before we knew it the bridal cars were arriving and we were heading inside for the ceremony. 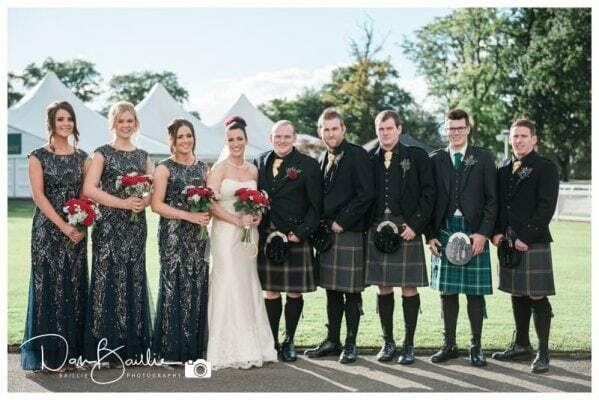 Afterwards we arranged a large photograph of all of the guests (all 200 of them) and then a selection of formal photographs. 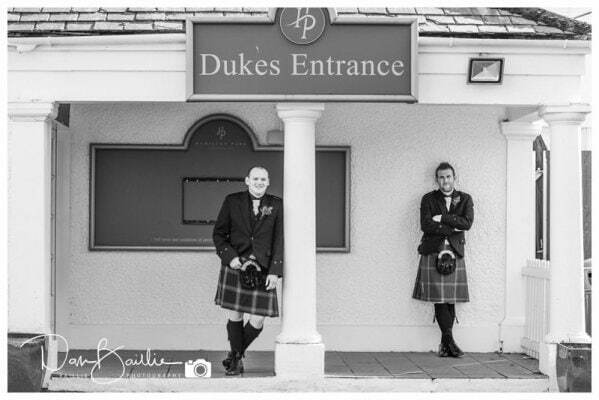 We then had some time before the wedding breakfast to get some lovely photographs of the newly weds. 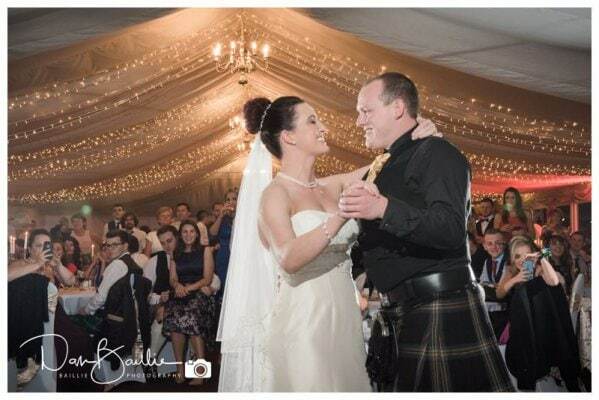 The celebrations lasted long into the early hours of the morning with plenty of singing and dancing.